At this bed-and-breakfast and spot for historic tours, folks have witnessed footsteps and whistling on the stairs, objects that have been moved, phantom cigar smoke, electronic oddities, and a mirror that fell off the wall for no apparent reason. Legend has it that one ghost here is Clay Faulkner, original owner who died in 1916. Fortunately, this amazing historic mansion will allow the public to share in a ghostly encounter each year during the last weekend in October with their Ghost Tag Along Tour. Led by paranormal investigators, touring members have the unique opportunity to investigate the mansion using the same ghost hunting equipment folks see in paranormal TV shows. 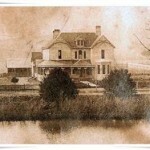 Falcon Rest is a place not to be missed for a day tour or during a special haunted evening searching for Mr Faulkner! ( and friends?) See the phantom old woman who rises from the ground or hear the sigh of a spirit in the darken mansion right in your ear. Phantom whistling and don’t forget to say “Hi!” to the little boy spirit who can be audibly heard and occasionally will make an “appearance”. I’ve been there before.Sorry for not inturducing I’m Tabby Young I’m a worker on paranormal activity I live in wellsbero Pa in there in a place called Penn Wells the first building has been there since 1925 and we’ve caught many orbs and swipes and had many manifestations. I grew up right across the street from the Falcon Manor. It’s a bed and breakfast now, but it used to be more than that. My step dad was born there when it was a sanitarium. It’s a beautiful, historic building. But it is haunted, I am so sure. I’ve heard screaming, I’ve heard babies crying, and I’ve seen movement, even light, coming from the top floor which isn’t open. Late at night or early in the morning. I know people who have had similar experiences. People stay there just to experience something. 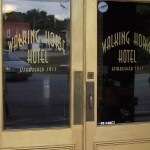 It’s an historical landmark for Warren Co. I grew up right across the street from the Falcon Manor. It’s been a bed & breakfast for quite a while now. You can rent it for occasions as well. It’s absolutely grand and beautiful It originally was a sanitorium. Lots of deaths there. My step father was born in the manor. However, weird things happen there all the time. I would hear moaning and screaming at night time, there is a light that turns on and off in the attic where nobody goes, we’ve had animals that died after exploring the grounds, and we could hear babies crying sometimes when there were none anywhere near there. We had a mixed breed dog named “Glassifier”, or “Glass” for short, who became sick and wasn’t able to get over it. She died within that week.This was after she decided to explore the grounds on the property. She never was curious before, so I don’t know what made her want to check it out. About 2 weeks after her death, her pup was hit by a car. She went with her on the grounds when Glass went over there. She, like Glass, never explored those grounds before either. Just about every night, Glass and Shadow would stand in the front yard facing the manor, and they would bark and growl yet there was nothing there to bark and growl at. We used to walk by there, and our dogs would cross the road to the other side when we would pass by. We never could get them to walk on the property. So, you can understand how we found it odd when we saw them on the grounds. They were extremely interested then, we could tell because they were so thorough with smelling their way around. And we couldn’t get them to come back to the house from there when we called them. They kept going as if they didn’t hear us hollering for them. They stayed there for more than 2 hours. 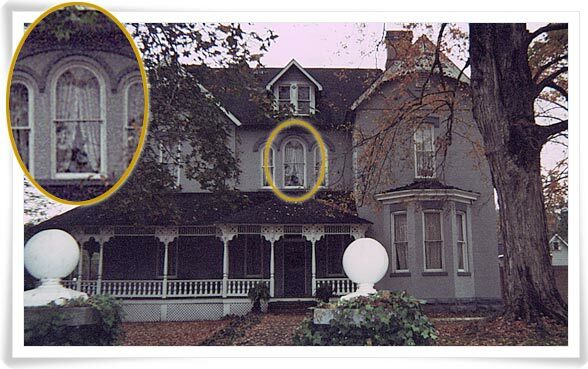 The attic with the light is on the side of the manor, and we watched them both stand there looking up at the window. So weird. Just about every person who has visited or stayed in their rooms have experienced some of the same phenomenons. We just happened to experience them much more because we lived so close to it. Even thought it creeps me out, the manor is so beautiful and intriguing that I would never miss a chance to explore it. I definitely recommend anyone to visit or stay there, it’s a one-of-a-kind experience!! hahaha took me a second look. My Grandfather died there when it was a hospital,back in the 60’s.i live close to it,but have never been inside,i think I will check it out. As owner of Falcon Rest Mansion, we’d be delighted for anyone interested in our “spirits” to check out the place on guided tours of the mansion, offered daily 9 to 5 Central time. Occasional tag-along ghost hunts are also available, led by Debra Shapiro and Ghost Hunters of Southern Tennessee. The mansion itself is only used for tours, but as some of our neighbors mentioned, we do have overnight guest suites in other buildings on the grounds. The B&B part of the property is known as Falcon Manor: B&B at Falcon Rest. Sorry about your dogs, Cynthia B. Our ghosts are usually friendly. For more info, see http://www.falconrest.com.